Bees create the honeycomb, the perfect six-sided cells, that they then fill with honey. 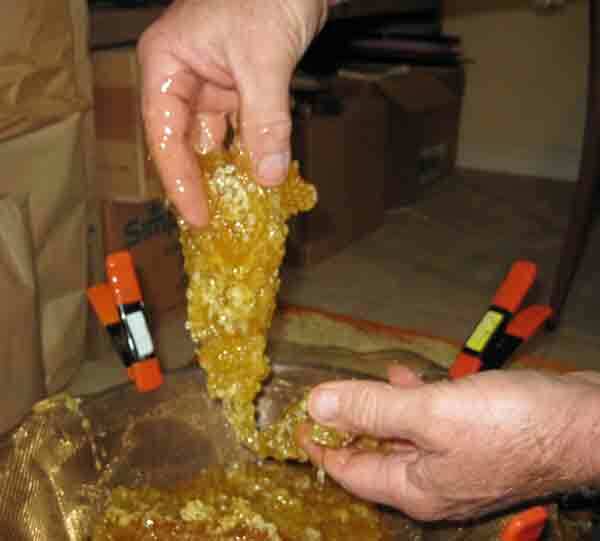 Once full, the bees seal these containers with more wax. If you want to taste honey as the bees made it, nothing is better than to eat the honey with the comb. 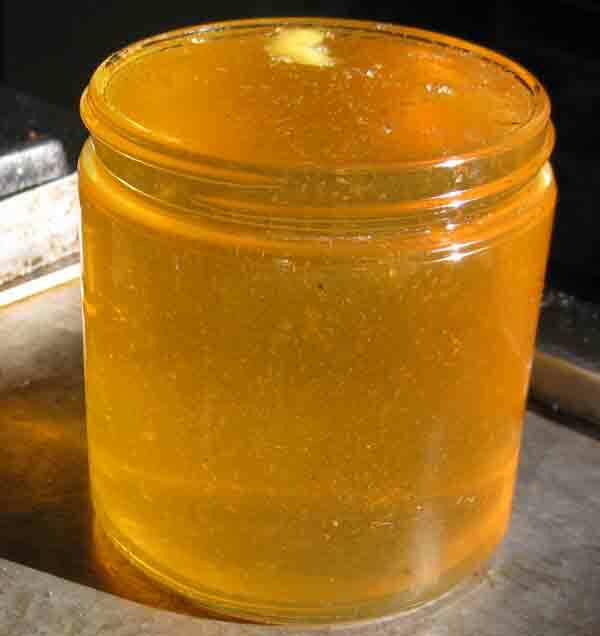 However, many people are used to the liquid gold of fluid honey. 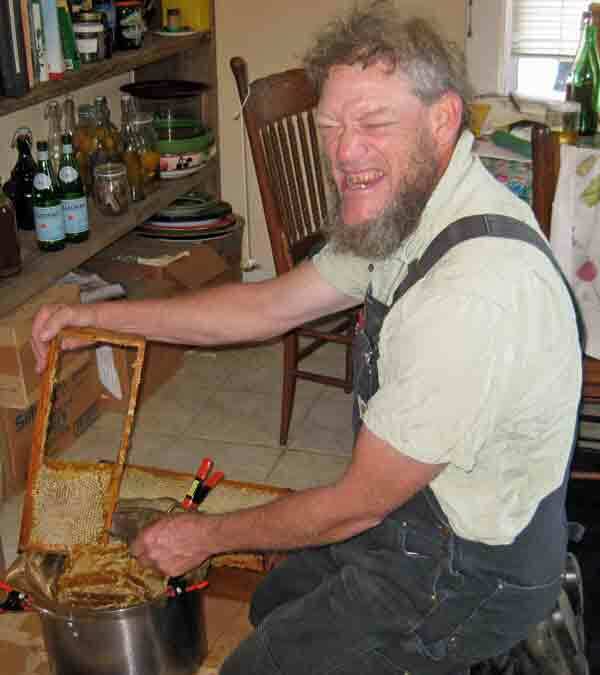 Typically, to extract the honey, a hot knife is used to decap the honeycomb and then the frames are spun so the centrifugal force spins the honey out. 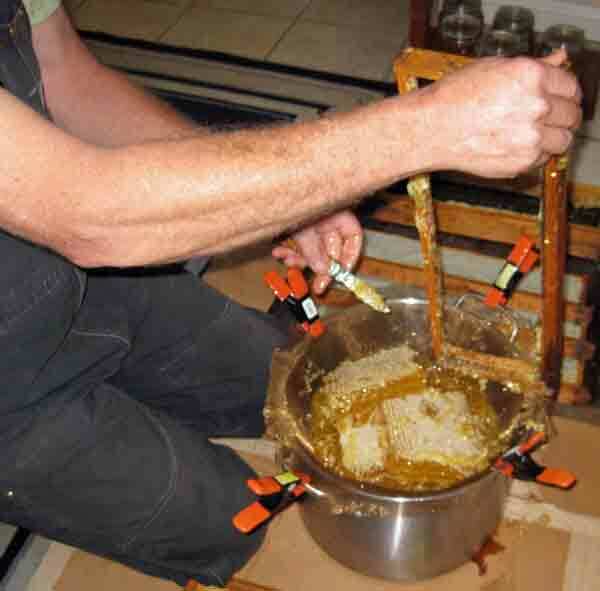 When Jeff and I tried this, we both noticed that the application of a hot knife changed the taste of the honey. The heat seemed to rob the honey of its top notes, the lighter floral essence. Recently I saw this process being done with a metal comb. The comb broke the wax so the honey could drip out. This might be worth trying. As to spinning, well basically this process aerates the honey and the flavor is weaker afterwards. For us, with our goal of preserving the flavor of the honey, the simplest way to extract the honey is the most successful. We cut the comb from the frame and put it into a strainer. We break up the cells with our hands and let the honey drip out. Jeff makes a face as he cuts honeycomb from the frame. 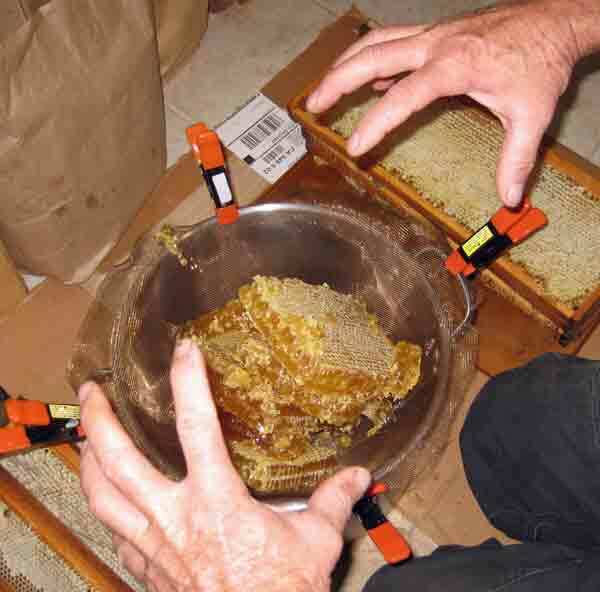 The honeycomb falls from the frame into the waiting strainer.